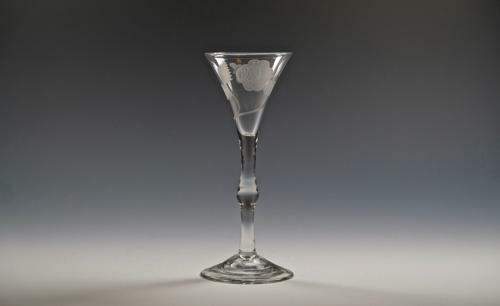 Light baluster wine glass with swelling centre knop and drawn trumpet bowl engraved rose, four petals and a moth on the reverse. English C1750. Note: A fine example in good condition.